You guys, this broccoli is amazing. Yes, I just called broccoli amamzing. 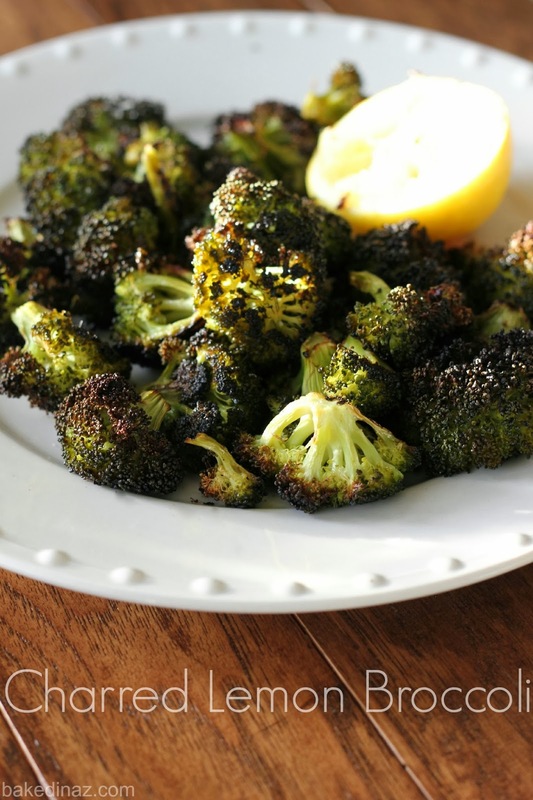 Even if you are not so sure about broccoli you gotta try this recipe. Not only is it extremely easy and only has a few ingredients, it is totally unique and gives you a whole new perspective on broccoli. The lemon with the crispy charred edges is perfection. 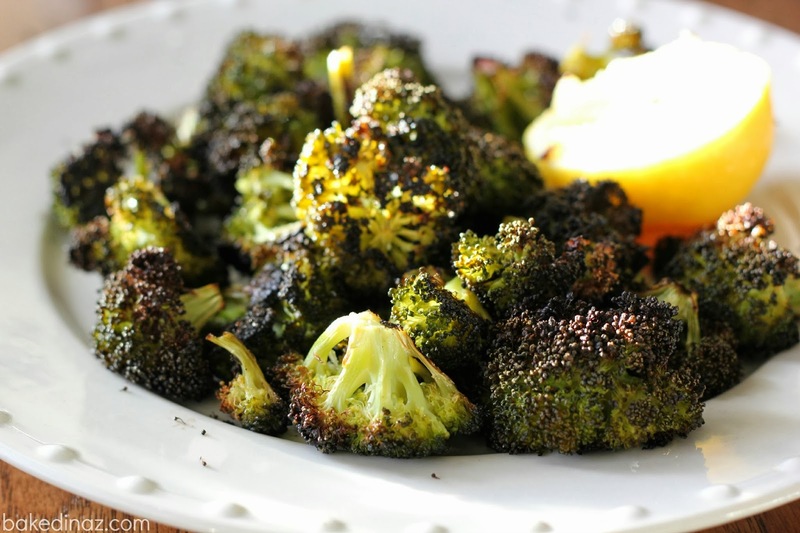 I’m always looking for new ways to cook broccoli (it is a favorite in our house). I am so glad I found this recipe! I served this with our dinner but it would also be a great afternoon snack. You know when the “I really need something to munch on” comes around about 2:00 PM. You just have to plan ahead for cooking time. Hey, you could even make this for an after school snack for your kids and see what they think! Spread the florets on a baking sheet and drizzle with olive oil. Gently toss the florets in the oil to coat. 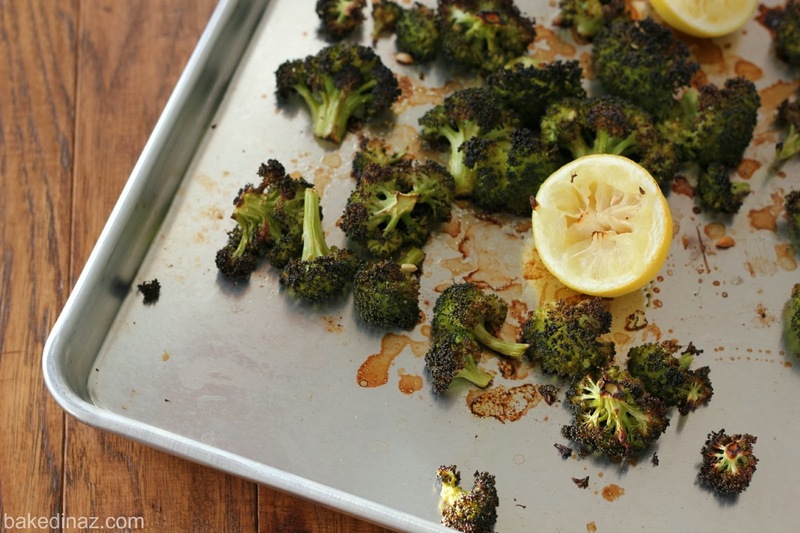 Remove from oven and squeeze the lemon juice on top of the broccoli. Place the broccoli back into the oven for 15 more minutes. *I used 2 smaller heads of broccoli and it worked great. So if your broccoli is not very large, I would use 2 heads. It was about 4 cups of broccoli florets cut up. Also, I didn't have Asiago cheese so I didn't use it. I can't wait to try it with some! Made this the other night- super easy and SO GOOD!! Even the hubbie liked it- and my picky daughter. Definitely plan ahead for the cook time. We will definitely make this again!! Thanks BakedInAZ! So glad you liked it and that you got your "picky eater" to eat broccoli! Thanks for sharing!